6353000 2AFBR10 TOYOTA 2AFBR10 Non-pilot forklift. Spare parts catalog. Service (workshop) Manual. 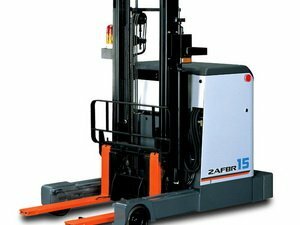 6353001 AFBR15 TOYOTA AFBR15 Non-pilot forklift. Spare parts catalog. Service (workshop) Manual. 6353002 2AFBR15 TOYOTA 2AFBR15 Non-pilot forklift. Spare parts catalog. Service (workshop) Manual. 6353003 AFBR18 TOYOTA AFBR18 Non-pilot forklift. Spare parts catalog. Service (workshop) Manual. 6353004 2AFBR18 TOYOTA 2AFBR18 Non-pilot forklift. Spare parts catalog. Service (workshop) Manual. 6353005 2AFBR20 TOYOTA 2AFBR20 Non-pilot forklift. Spare parts catalog. Service (workshop) Manual. 6353006 2AFBR25 TOYOTA 2AFBR25 Non-pilot forklift. Spare parts catalog. Service (workshop) Manual. 6353007 2AFBR30 TOYOTA 2AFBR30 Non-pilot forklift. Spare parts catalog. Service (workshop) Manual. 6353008 ARFBA10 TOYOTA ARFBA10 Non-pilot forklift. Spare parts catalog. Service (workshop) Manual. 6353009 ARFBA12 TOYOTA ARFBA12 Non-pilot forklift. Spare parts catalog. Service (workshop) Manual. 6353010 AHPB15 TOYOTA AHPB15 Non-pilot forklift. Spare parts catalog. Service (workshop) Manual. 6353011 APLB10 TOYOTA APLB10 Non-pilot forklift. Spare parts catalog. Service (workshop) Manual. 6353012 APLB3 TOYOTA APLB3 Non-pilot forklift. Spare parts catalog. Service (workshop) Manual. 6353013 APLB8 TOYOTA APLB8 Non-pilot forklift. Spare parts catalog. Service (workshop) Manual.